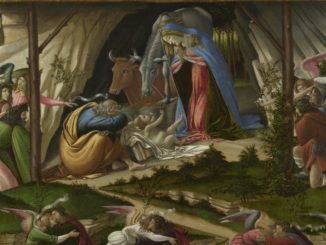 I think every Christian individual has his or her own Christmas tradition that is unique to their own persons. We have our cultural traditions, that of the Christmas dinner, the tree with the dim lights, and presents (naturally). Then we have our family traditions. Some families have specific foods they eat, others have that Christmas song that they can recite in perfect harmony. My Christmas tradition stems from my passion for films. If done right, it shuts people up and makes them pay attention. Pausing from their phones to be drawn into wonderful world of cinema. When deciding a classic Christmas film to watch, you have two stems of Christmas film theory; straightforward Christmas films and the “just watch at Christmas”, Christmas films. The first group is simple. Films like the Jimmy Stewart classic It’s a Wonderful Life, a box office disaster at the time of release, thanks to its cheap cost to run on TV, has become a stable of Christmas time and cheer. A Christmas Story, my personal favourite of the former group of Christmas films, has always been stuck in my heart because I related to it so much when I first saw it. A film that richly celebrated family life and its utter dysfunctionality. Others include every adaption of a Christmas Carol, White Christmas, and the still funny Planes, Trains, and Automobiles, among others. Of course, in the group of straightforward Christmas films you have the subsection of films set in Christmas but lacking the message of glad tidings to all and that peace, love, harmony hog wash. Die Hard is the first film many think of in that subsection. Lethal Weapon is the one I think of though, as I’ve seen it more times than Die Hard, Mel Gibson was always cooler than Bruce Willis, and Danny Glover was a badass. Are they Christmas films though? Many publications like Empire, Forbes, and Going Postal favourite The Guardian seem to think so. In my opinion, any film that features Jingle Bell Rock at the beginning of a film surely must get one in the festive spirit and be considered a Christmas film. Albeit said scene climaxing in a woman jumping off a 30-story building onto a car while high drugs. Suicide is popular this time of year and we are all high on Christmas cheer so it’s still a damn Christmas film. Gremlins, Terry Gilliam’s Orwellian, overrated film Brazil, and the holiday themed slasher flick Black Christmas would be also a part of this group. The latter group of Christmas film theory is the non-Christmas films that are watched and connotated at Christmas because they just bring back certain memories. I’ll go through, some of the films I watched and some reasoning behind them to link them to my Christmas mood. Family films are the most common subsect of these types of films for obvious reasons. Childhood works wonders this time of year. Films such as the second Indiana Jones film, not the first or the third (or the fourth), but always the second film, which isn’t even my favourite, it just always happens to be the one on TV when our family watched TV and so it was always the one associated with Christmas. Several animated Disney films also crop up, since I spent a good chunk of my early life with two older sisters, I’ve been forced to see them all at least twice, making a long-lasting impression on me. For modernity’s sake, Pirates of the Caribbean is also the family festive film series that I look fondly at, even though they are stupid films in every conceivable way, swashbuckling adventure always sparks my imagination at Christmas and my younger brothers. The real classics are always on at Christmas as well, as it is the only time when people of sound minds in my family are willing to watch them with some attention. Gone with The Wind was always the common choice in the household since it has something to appeal to everyone: romance, violence, burning down the set of King Kong, it is a marvel to behold and still stands up after all these years. That, and it really kills an afternoon with its length. 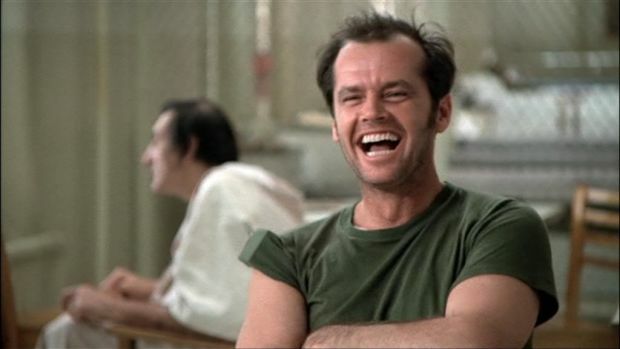 One Flew Over the Cuckoo Nest is another film that brings a Christmas feeling in me. Got it for one Birthday on DVD in my younger years and watched it on Boxing day (my birthday is in late November). It was a rip-roaring treat to watch Jack Nicholson at his prime, bringing down the system with wit and respectable narcissism. To my young impressionable mind, it lasted a great message to always question authority of my so-called superiors, and the great belief in freedom. A western Christmas message if I ever saw one. Many other films of course; the Man Who Would be King, Rio Bravo, and the Rocky films. However, the personal film that I make sure to watch every Christmas time, without fail. My tradition for Christmas, is The Asphalt Jungle. For those that don’t know, The Asphalt Jungle is a 1950s heist (some would call it noir, but it lacks certain elements of that) film directed by the genius John Huston. One of the most important of its genre and the by far the best of it. It’s one of the first crime films to really delve into the criminals, rather than the average, token, “good guy”. The story is simple. A lawyer needs money to pay off certain debts, so he collaborates with a bookie to set up a heist to rob a safe containing a case of diamonds. As expected, things don’t go quite to plan, and several people either die, get arrested, or are left in mourning. The film features basically every robbery character ever used in the medium. You have the “mastermind”, who’s European (out sourcing), the “box man”, who has a wife and child, the “driver”, who has a crooked back, and the “hooligan”, played by Sterling Hayden, who is loosely the main character and driving force for the film. Not the cleverest clog, but it makes him all sympathetic to his situation. Not forgetting basically every other criminal character ever used in fiction. It should also be of note that the film features the break out performance of Marylin Monroe, playing the mistress of the lawyer funding the robbery. Though, don’t expect too much screen time from her since this was before Monroe was the big star that she was. It is well made, as expected from Huston. Tightly edited, excellent cinematography, and a good use of the city setting. The city being ugly. Homeless in the back alleys, crooks on every street, and an apartment that feels too contained for the characters. Reflective of the ending that I will not spoil for you. The film doesn’t really have a message (“don’t steal” I guess) and not at all a Christmas film in principle, but that’s not the point. Christmas is about memories that bring us together with shared passions. Without that film, Christmas loses something for me. It just isn’t the same. That film is as just as important as the tree in the corner or the nativity scene. It makes Christmas, Christmas. So, all I can say is; give it a watch, and have a Merry Christmas.